If you are ready to discover one of Asheville’s most expansive breweries, then you need to embark on a Sierra Nevada Brewery tour! From beer geek excursions to guided barrel tastings, there is a tour for every occasion at this one-of-a-kind brewery. Read on to learn how to make the most of your trip. Afterward, continue your search for North Carolina’s best regional brews by viewing our free Western North Carolina Vacation Guide. Find top recommendations on breweries, restaurants, events, and more so that you can spend less time planning and more time exploring! Sierra Nevada Brewing Company found its home in Western North Carolina in 2012. Their East Coast home in Mills River, North Carolina, is phenomenal! Here, you’ll find an exciting taproom with over 20 beers on tap. If those tasty brews make you hungry, then you’re in the right place. This brewery is also home to a full-service restaurant that features fresh, farm-to-table dishes. Live music is also frequently on the calendar, and their gift shop is the perfect place to shop for the finest beer glasses, clothing, and memorabilia from your trip. 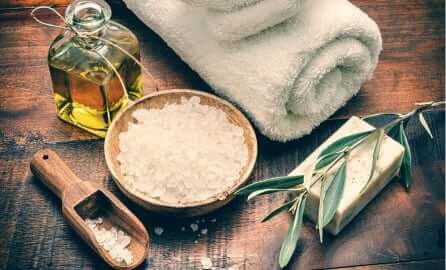 You could spend an entire day here and still have plenty to do! Although you don’t need to take a tour to experience Sierra Nevada Brewing Company, we recommend that you do! A variety of tours and tastings are available. Introductory tours can take as little as 45 minutes, while educational tours can take up to 3 hours! The Brewhouse Tour is complimentary and available for ages 12 and up. It is a wonderful introductory tour! For those who wish to dive deeper into the beer making process, the Beer Geek Tour is a must. This three-hour tour hops into the history of Sierra Nevada Brewing Company and offers a behind-the-scenes look into the facility! New tours are regularly offered at the brewery. For more information on current tour options, visit the North Carolina Sierra Nevada Brewery website! Because tours fill up quickly, we recommend booking your tour before you visit. If you have any other questions regarding tours or tastings, you may contact the Sierra Nevada Brewery Tour Desk at (828) 708-6176. After your Sierra Nevada Brewery tour, extend your evening at The Esmeralda Inn & Restaurant. Our onsite restaurant is known throughout the area as the No. 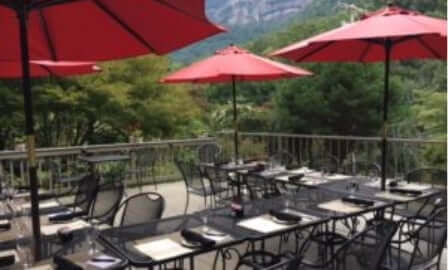 1 place for dining in Chimney Rock. 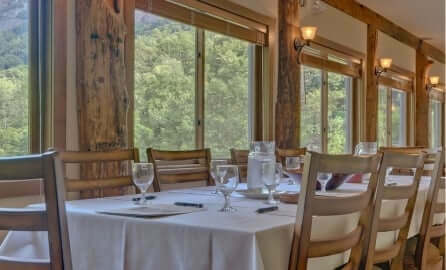 Our menu showcases the best of North Carolina, featuring regional craft beer, award-winning wine, and Southern cuisine with a sophisticated flare! 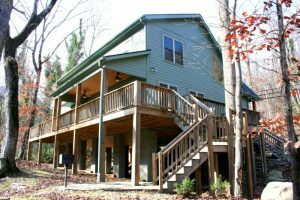 When you book any of our NC mountain cabins, like The Chimney Rock River Cabin, you can always look forward to the best amenities, vacation packages, and top-notch service. Complimentary, gourmet breakfast is always included in your stay! 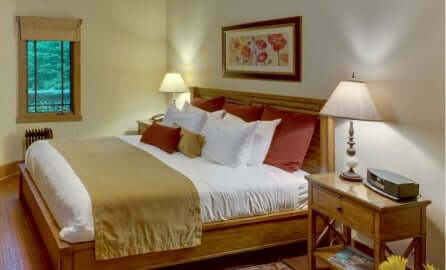 If you are ready to plan your next getaway, check our current specials and book your stay. We can’t wait to host you at The Esmeralda Inn & Restaurant!